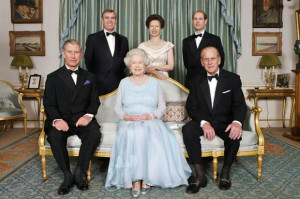 Clarence House has been the royal residence of many members of the British Royal Family throughout the last 170 years. 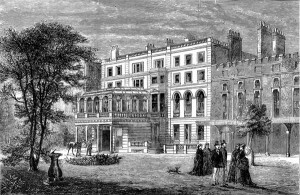 In this post I will discuss the history of the Clarence House and the famous royal family members that have lived there. 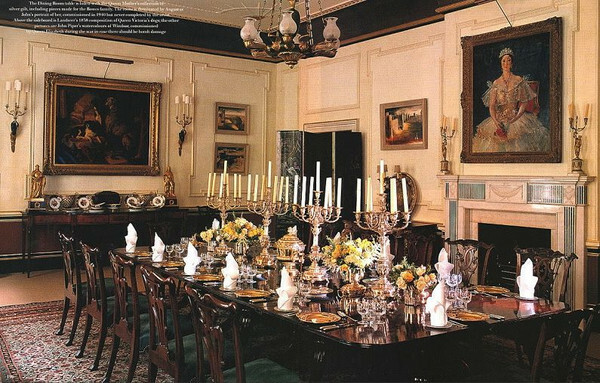 I will also discuss the building’s exterior architecture and the interior design throughout the years and give a brief tour of some of the rooms of the first floor of Clarence House. After the death of King William, Princess Augusta, his unmarried sister moved into Clarence House and lived there until her own death in 1840. The next royal family member to make Clarence House their home was Victoria the Duchess of Kent, she was the mother of Queen Victoria and she lived there from 1841 to 1861. After the death of Prince Alfred, Queen Victoria’s third son, Prince Arthur the Duke of Connaught and Strathearn moved into Clarence House and it became his London residence. Prince Arthur was frequently gone because of his extended overseas duties with the British Army in both India and Canada; he also served as Governor-General of Canada from 1911 to 1916. Eventually Prince Arthur returned to England after his world travels and he lived at Clarence House until his death in 1942. 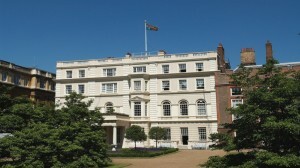 With the death of Prince Arthur and the onset World War II, Clarence House served another purpose other than a royal residence and during the war it was used by the British Red Cross Headquarters with over two hundred staff members of the Foreign Relations Department who worked on behalf of the British prisoners of war held overseas. 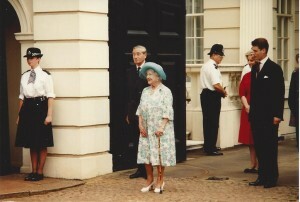 But perhaps one of the most famous events in recent years was the Queen Mother’s annual birthday appearances at the gates of Clarence House on Stable Yard Road to greet the public. This tradition started for her 70th birthday in 1970 and continued until 2001 for her 101th birthday, the beloved Queen Mother died in 2002. 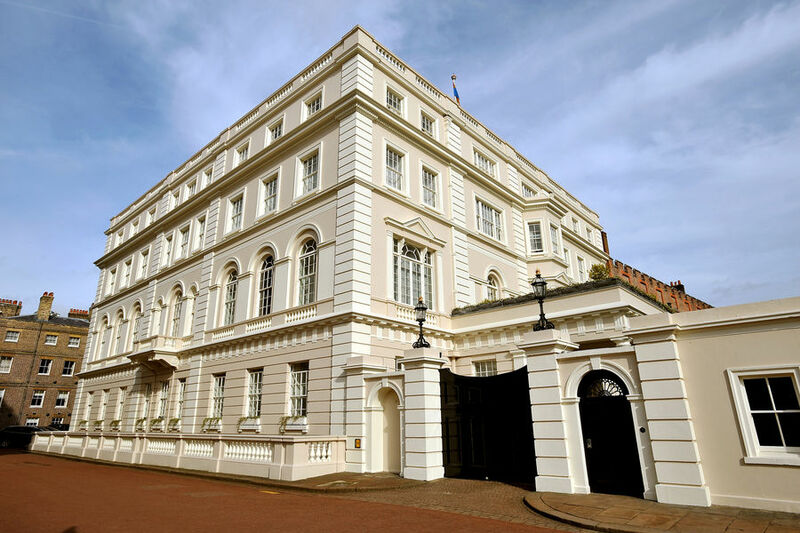 Currently Clarence House is the official London residence of Prince Charles, the Prince of Wales, and his wife Camilla, the Duchess of Cornwall. After the death of their mother, Princess Diana, in 1977 her sons split their time between their father’s house, Highgrove, near Tetbury in Gloucestershire and then later at Clarence House. Prince William lived at Clarence House from 2003 until his marriage to Kate Middleton in 2011 and Prince Harry lived there from 2003 until 2012 when he also moved to Kensington Palace. (Royal Note: When Prince William moved out of Clarence House after his marriage he moved into the same apartment at Kensington Palace that Princess Margaret once occupied until her death in 2002. It is believed that the Prince decided that his mother’s, Princess Diana, former apartment at Kensington Palace held too many memories and it would be too bittersweet to return to his childhood home). Clarence House was built next to St. James Palace and it was the preferred residence of King William IV. He commissioned the architect John Nash to design the building while he was still the Duke of Clarence and it was completed in 1827. Throughout the years, Clarence House has seen many changes and alterations by the various members of the royal family that have lived in the house and bears little resemblance to the original building that Nash designed. At the time that the Duke of Clarence moved into the building it was a three-story structure that was constructed on a corner lot located on the south-west side of St. James Palace with the main entrance facing Stable Yard Road. 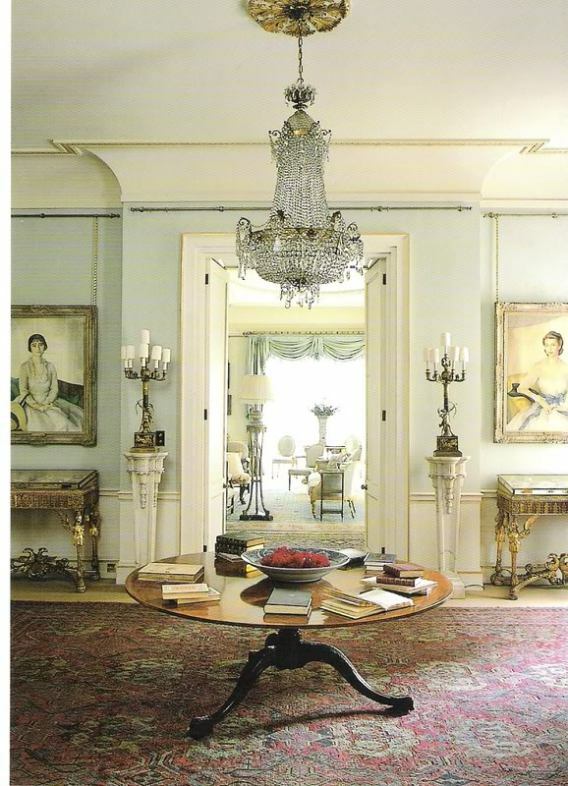 The Duchess of Clarence decorated the interior of their new home in a refined style and it was very simple when compared to St. James Palace or later the luxurious Buckingham Palace. 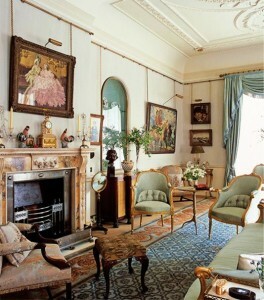 The next resident to make significant changes to Clarence House was Prince Alfred, the second son of Queen Victoria. When the Duke of Edinburgh married the Grand Duchess Maria Alexandrovna of Russia in 1874 he had Clarence House enlarged and redecorated. He had a fourth-story added to the structure and the main entrance was relocated to the south side of the building and featured Doric columns. 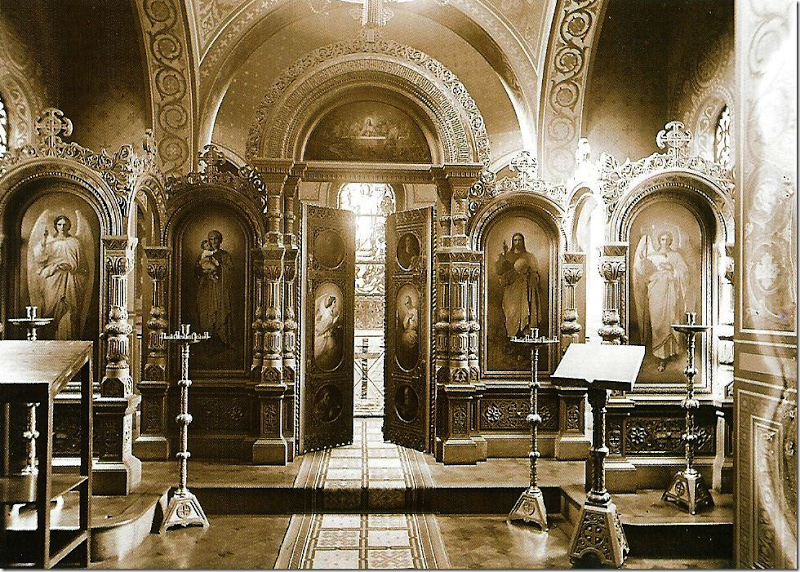 A Russian Orthodox chapel was also added on the first floor for his wife. 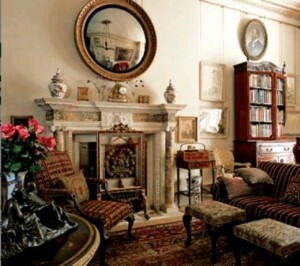 After the death of Prince Alfred, his brother Prince Arthur moved into Clarence House. 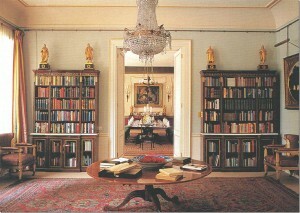 When he married Princess Louise of Prussia the rooms were renovated with oak paneling and plaster molding and decorated in a distinct Victorian style with overstuffed furnishings and numerous items gathered by the Prince during his world travels, there is documentation listing over 400 pieces of oriental porcelain, bronze and jade figurines belonging to the Prince. 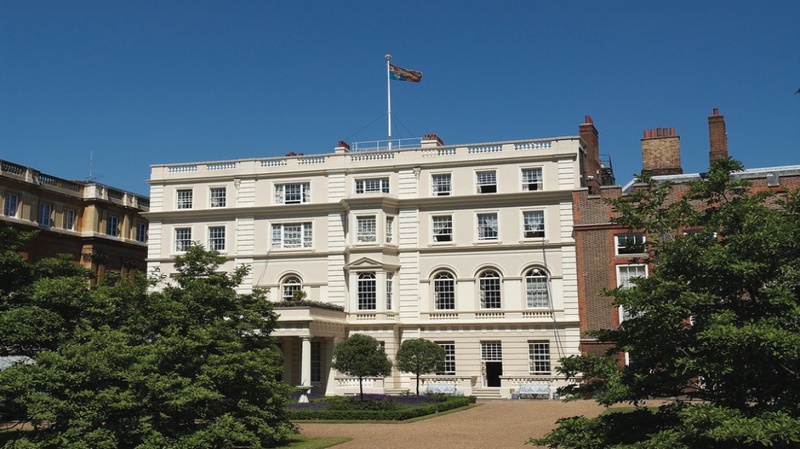 Then, after the death of Prince Arthur, Clarence House was used as the headquarters of the Red Cross during World War II and many of the rooms were altered to accommodate over 200 workers. When the war ended the building needed to be reconstructed and the exterior was completely redone because it had been severely damaged during the German bombing of London. 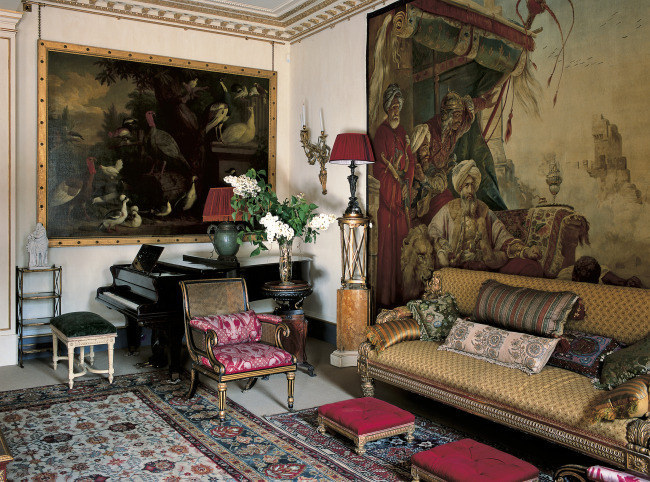 By 1949, Clarence House became the home of Princess Elizabeth and Prince Philip. After their 1947 wedding it took two years to complete renovations to the building before they could move in. 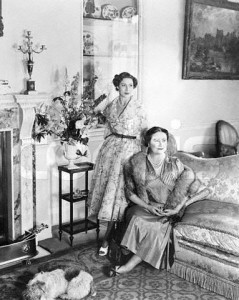 Despite the fact that Princess Elizabeth was the eldest daughter of King George VI and heir to the throne, their home was very simple and elegantly decorated. The royal couple enjoyed their time in Clarence House and lived quietly there for only a few years until King George died after a lengthy illness. 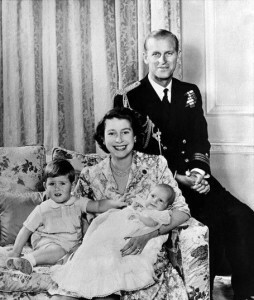 The new Queen Elizabeth II moved into Buckingham Palace with her husband and two small children. At that time, the decision was made that the Queen Mother and her youngest daughter Princess Margaret would move from Buckingham Palace and into the Clarence House but before that could happen the interior rooms needed to be refurbished and the building needed to be completely rewired. 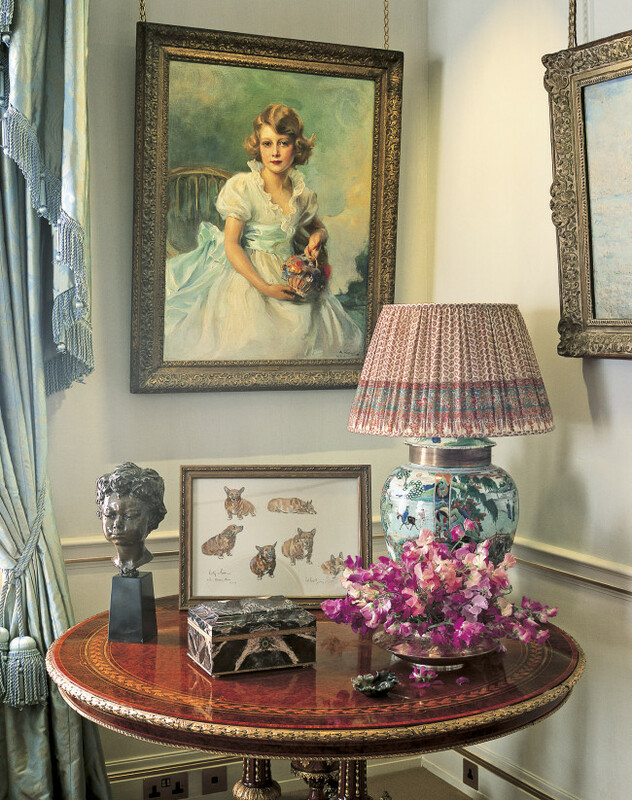 When the house was redecorated the Queen Mother furnished the rooms with her large collection of important British artwork and wonderful decorative items such as Faberge and beautiful English porcelain and silver pieces. Over the next 70 years, Clarence House was the site for many of the Queen Mother’s official and private dinners and afternoon teas. The table was always set with beautiful china and polished silver which made the perfect setting for deliciously prepared meals and best wines were served. Foreign Heads of State who would customary see the dowager Queen at the start of their State Visit to England and the Queen Mother also entertained an eclectic mix of famous celebrities and ordinary citizens from the her various charities. 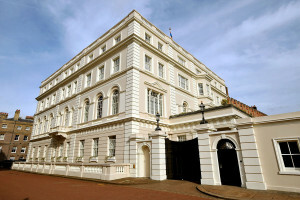 When the Queen Mother died in 2002, Clarence House became the official London residence of her grandson Prince Charles. Before the Prince of Wales and his wife, Camilla, the Duchess of Cornwall could move into the house it took almost a year to complete the extensive renovations and redecorations. As a tribute to his beloved grandmother, the Prince retained the basic color schemes of the rooms and positioned some of the Queen Mother’s furnishings back to their original placement in the rooms. He also used numerous pieces from the Queen Mother’s art collection combined with his own personal collection. Clarence House is open to the public only during two months each summer and visitors can take a guided tour which includes several rooms on the ground floor. The tour starts with a walk through the garden and through the famous “Queen Mother’s Birthday” gate and then into Clarence House. Once inside Clarence House visitors will be in the Entrance Hall and then they will proceed into the Lancaster Room which is normally used as a reception room for the personal guests of the Prince of Wales and the Duchess of Cornwall. 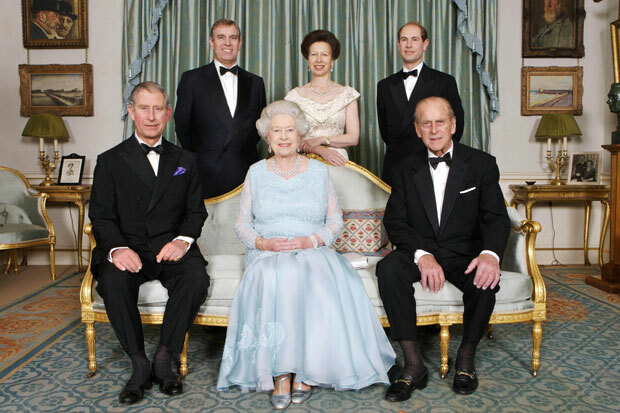 The room was given the name because the people of Lancaster generously gifted money to Princess Elizabeth and the Duke of Edinburgh for their wedding in 1947 and the funds were used to decorate and furnish this room of Clarence House. The Morning Room is located on the other side of the Entrance Hall and is currently used by the Prince of Wales and the Duchess of Cornwall when they entertain their guests. The Morning Room was the Queen Mother’s favorite room when she lived in Clarence House and Prince Charles chose to decorate it with several of his grandmother’s personal items, such as her collection of Royal Anchor Chelsea porcelain. 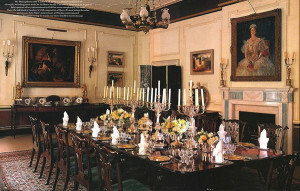 Two paintings of important historical significance displayed in this room are of two former residents of Clarence House. 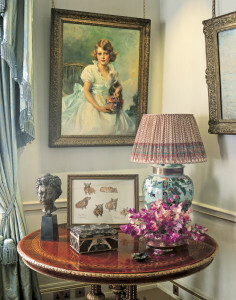 The first is a small portrait set on the fireplace mantel which shows the Queen Mother in 1908 when she was simply known as Lady Elizabeth Bowes-Lyon. The second one is the first official portrait of a seven year old Princess Elizabeth now known as Queen Elizabeth II and the daughter of the Queen Mother and the mother of Prince Charles. The Library is located adjacent to the Morning Room and hung on the wall, on either side of the double door entrance, are portraits of the Prince’s grandmother and mother. Both paintings are by the Russian artist Savely Sorine, the first was done in 1923 and captures the Queen Mother at the age of twenty-three when she was the Duchess of York and the second was done in 1948 and shows Queen Elizabeth II at the age of twenty-two. 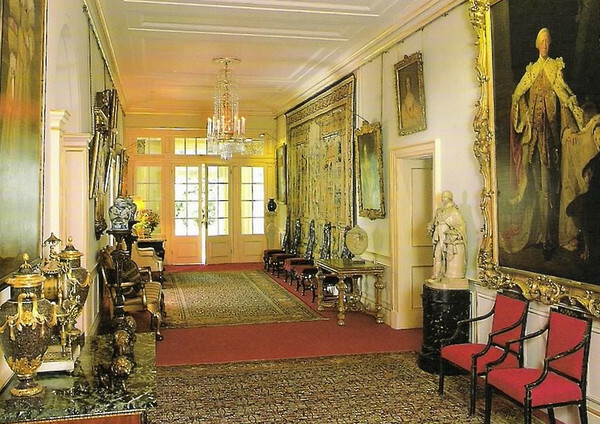 This concludes the tour of Clarence House and visitors will proceed back down the corridor to the Entrance Hall and exit back into the garden. 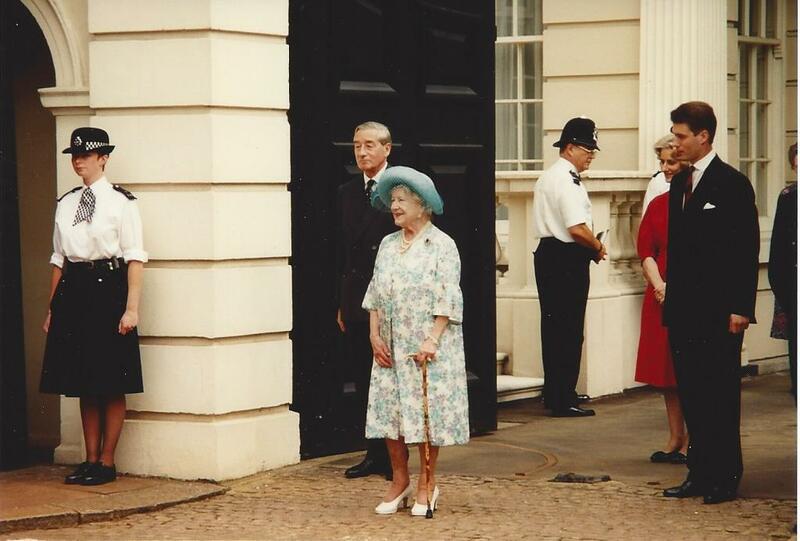 For more information about the longest resident of Clarence House, Queen Elizabeth the Queen Mother, please click on the link. 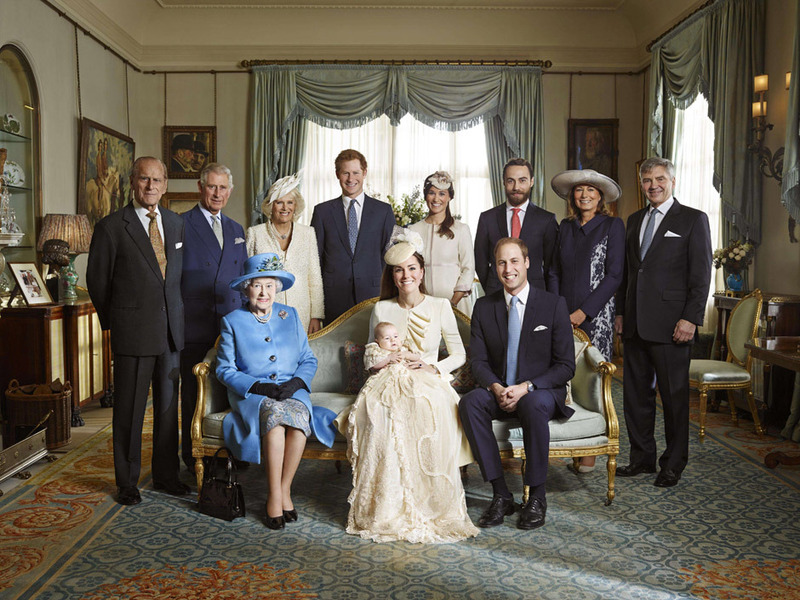 For information about two of the other royal residences in London, Buckingham Palace and Kensington Palace, please click on the links.